Jack and Jill of America is an organization of mothers of African American children founded in Philadelphia in 1938 for the purpose of developing leadership skills in our children and the children of our communities. 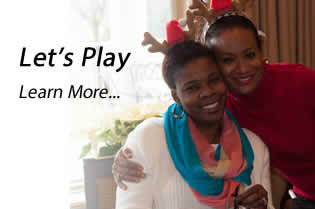 For more than 75 years, Jack and Jill has been serving the community through service and philanthropic giving. 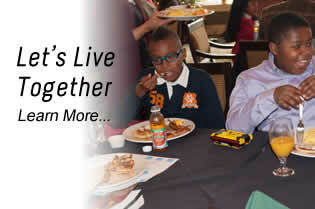 We are a family based organization that believes in making positive impact in the community in which we live. 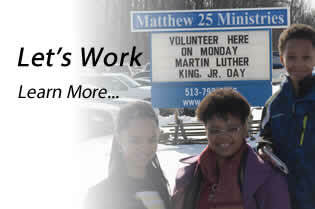 On January 16th, Martin Luther King’s National Day of Service, our Marvelous Moms, Jack Pack Dads and all the age group children will spend time volunteering at Matthew 25 Ministries for a third year. Save the date for our 6th annual Diamonds, Denim & DJs Fundraiser Saturday March 9, 2019 at the Jack Casino.